This week brings you some really good ideas if you are still planning this year’s holiday. 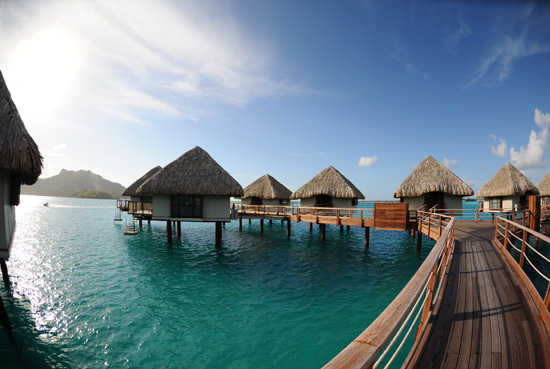 For something very special, you should check out the luxury Bora Bora vacation we have just found for $3,895 per person. Book now and travel on select dates through March 31 2016. If you are looking for other options you can also book a 5 nights getaway to Maui with air and hotel for $1,160 per person, North America flights with Virgin America airlines from $49 one way, the Flamingo Las Vegas hotel and casino for 50% less and discounted tour tickets from $33 per night and more. Hurry, these travel deals might be sold out soon. This vacation package will take you to the incredibly blue beaches of French Polynesia. It includes a round-trip airfare from Los Angeles to Bora Bora with Air Tahiti Nui, 5 nights stay at the luxurious Le Meridien Bora Bora, transportation between islands on Air Tahiti and special features. You will stay in a Motu View Overwater Bungalow and also get daily breakfast, lunch at Bloody Mary’s restaurant, canoe sailing excursion, a bottle of wine, romantic dinner on the beach, snorkeling excursion and a Polynesian couple’s massage. 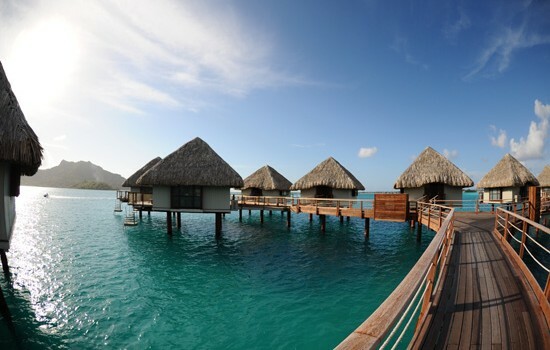 Double check this offer and make sure you are getting the best deal by selecting some sites from below and comparing their rates for Bora Bora vacations. Good luck! This entry was posted on Thursday, June 18th, 2015 at 4:34 am and is filed under Top Deals, Vacation Package Deals. You can follow any responses to this entry through the RSS 2.0 feed. You can leave a response, or trackback from your own site.